With so many DAWs on the market today, it’s tough for some to truly stand out. Enter Bitwig Studio. When Bitwig first launched, they boasted a wide array of seriously ground-breaking features. 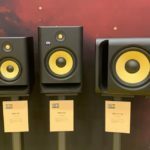 Building on a lot of the popular features from their competitors, Bitwig attempted to bring them all together, under one roof. On-the-fly clip-launching abilities and intuitive workflow popularized by Ableton Live alongside powerful Audio and MIDI editing popularized by DAWs such as Cubase and Logic made it a great platform for both studio and live use. 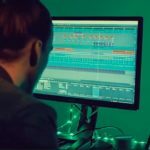 Fast-forward to 2018, and Bitwig continues to push the envelope with every update. Bitwig Studio 2.3 introduces a variety of interesting features, most notably the “Voice Stacking” mode. This allows you to create complex unison-style effects using a selection of Bitwig’s internal instruments, your favourite sounds and plugins can now be stacked with their voices slightly detuned or panned to create everything from wide, lush soundscapes to cutting-edge supersaws. It doesn’t stop there, you’re able to modulate parameters within the plugin across the stack of voices – everything from filters to effects. You can only imagine the sound design possibilities here. 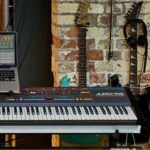 Phase 4 is Bitwig’s new “phase manipulation” synthesizer; it draws inspiration from two synthesis methods, namely phase modulation and phase distortion. These made legendary synthesizers such as the Yamaha DX7 and Casio CZ series so renowned. The biggest drawback of the original synthesizers that Phase 4 draws its inspiration from, was that the lack of display made programming these unique sound engines incredibly difficult. Not only has Phase 4 changed that with it’s incredibly intuitive graphic interface, it expands the universe of possibility much further by adding new filter modes and modulation sources. 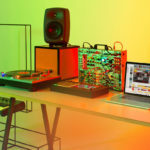 Bitwig Studio 2.3 also introduces two new devices – Instrument Selector and Effect Selector. The two new additions are layering devices, designed to give you smooth transitions between an array of pre-selected devices. 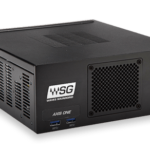 This is especially useful for live environments, for swapping through patches in a live set. The devices minimize sudden breaks or harsh clicks by fading out the previous layer when the next layer is engaged. The Bitwig Studio 2.3 update also sees a host of new editing features such as automatable time signatures and individual clip time signatures. Bitwig have added an expanded device view, allowing you to fine-tune your sound. The expanded view can even be assigned to external monitors or locked in place – great workflow upgrades. Bitwig have also extended the library of time-stretch algorithms in the Studio 2.3 update, adding a useful description of each one for quick and easy browsing. I’m only scratching the surface of all the new features, visit the Bitwig website for more details. 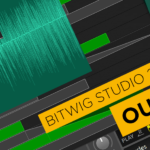 Existing Bitwig Studio 2 owners will get a free update!